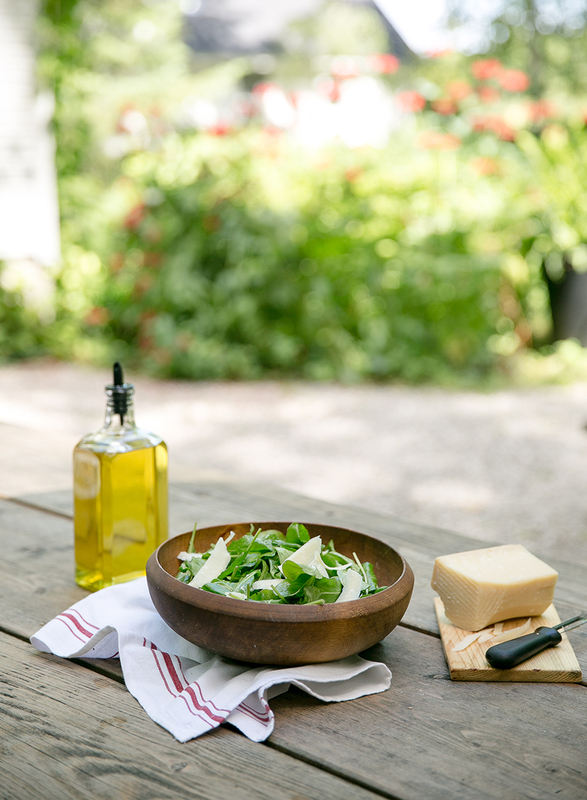 On the day we visited, Cammie whipped up a simple and beautiful salad that is all about having simple and basic quality ingredients. Though nothing new to most, sometimes it is more about the quality than it is about the originality when it comes to a great dish. Not to mention this salad takes no time. A big thanks to Cammie for sharing it with us today. 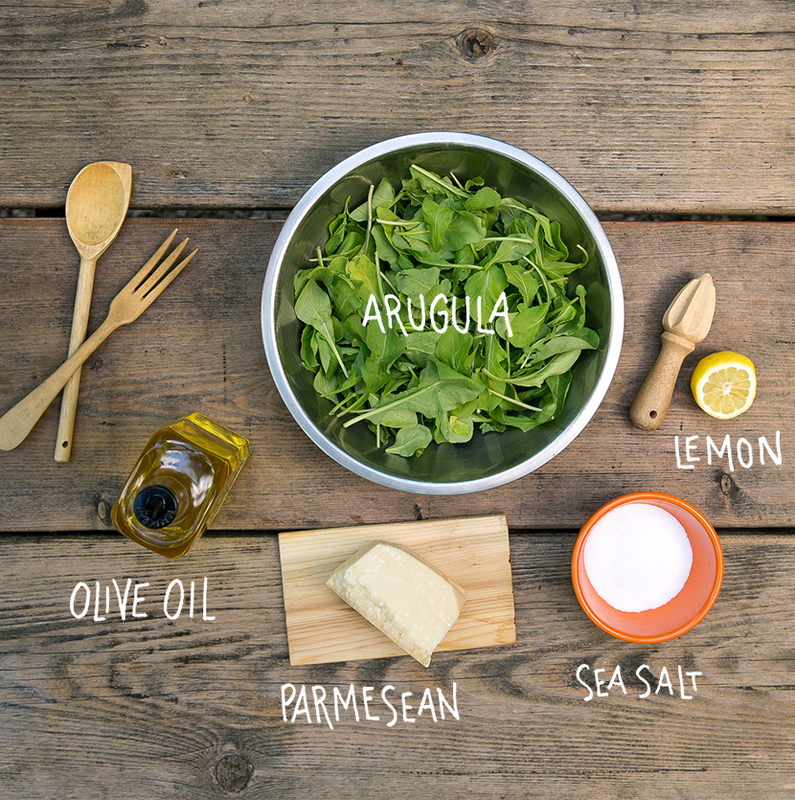 To make the dish is easier than you can imagine, simply add all the ingredients on top of the arugula that is in a large bowl. 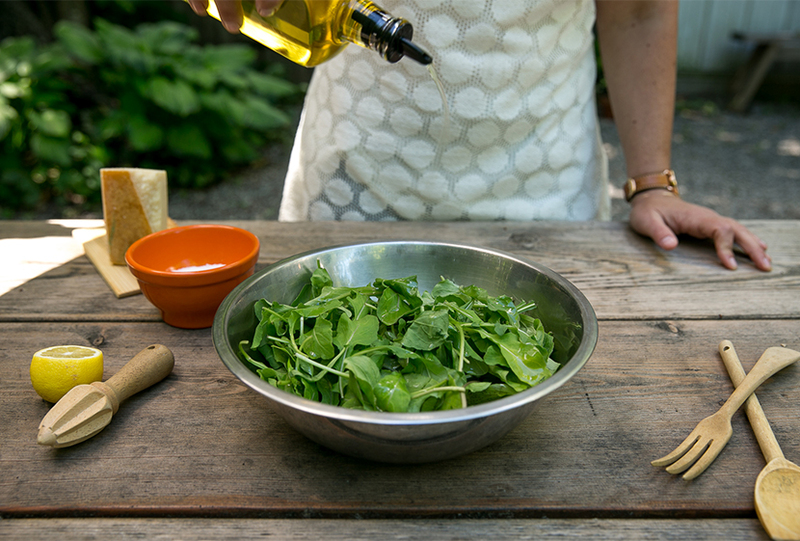 Then all you have to is toss and make sure the arugula is equally covered. If you want to shave a few more pieces of parmesan on top for decoration you can. 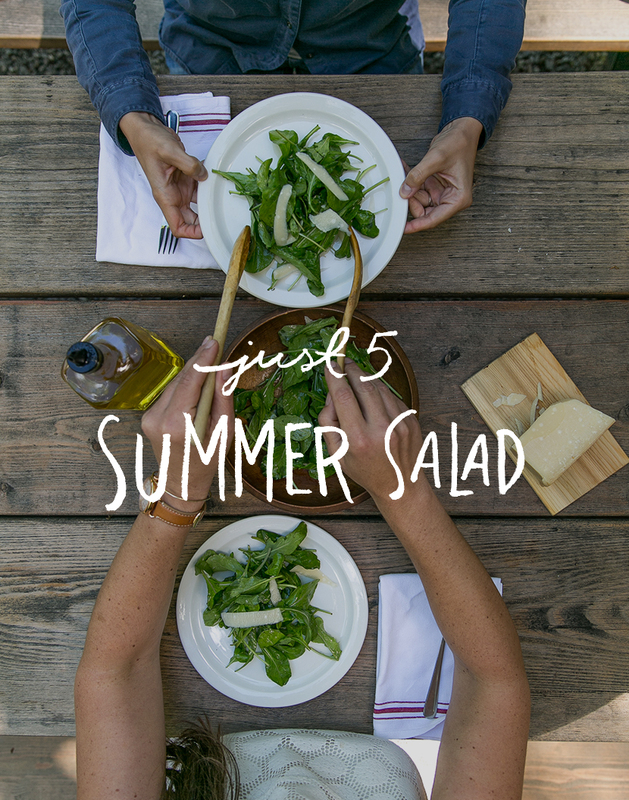 Serve the salad and have a perfect simple taste of summer. I highly suggest serving this for an outdoor dinner party where you may have quite a few guests. It is a simple salad that can easily have blueberries or more added to it if you wish as well. The best things aren’t complicated are they?